My first tryst with a Metro.. I saw the first ever Metro train in my life while passing through Delhi on my way to Chandigarh, back in June 2009. The silver, sleek train rushed through a bridge above my train - I looked at it in awe, but time constraints did not let me have a closer look. Two years down the lane, the Metro descends on my favorite city in the South - Bengaluru. Although the Metro missed a lot of deadlines, it came with all the fun. Karnataka State Road Transport Corporation (KSRTC) is a pioneer in introducing newer age technologies among the Government run Transport Corporations. KSRTC was the first to bring out Volvo buses, way back in 2002. From then, KSRTC built up a strong fleet of those white swedish beauties, naming them after the Mythical character, Airavat. 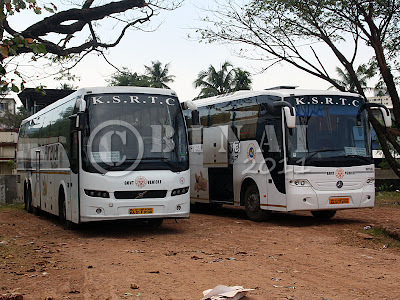 KSRTC increased their presence on many routes, and became the preferred premium operator on every route they ran on. About 8 years after they created history, they repeated history again with the introduction of Multi-Axle buses - the first for any state transport undertaking. 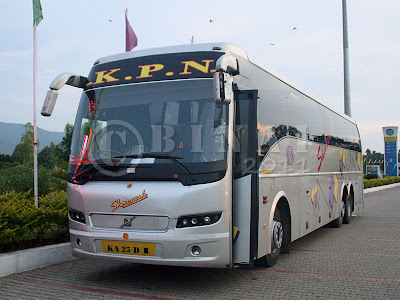 KPN - K.P.Natarajan - Travels is an infamous travel operator based in Salem, Tamil Nadu, India. The operator is credited with perhaps the highest reach to places in TN from Bangalore - but has earned a misreputation of being an unreliable operator in the past few years. KPN is a very old operator, existing since the mid 1900s. 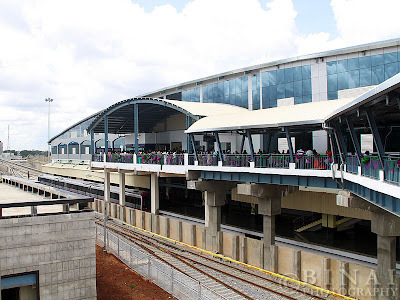 The operator started expanding sometime in the mid 1990s, and is now a formidable operator on many routes. They also have to their credit a good transparent online ticket booking system. They are also the biggest Multi-Axle Volvo operator between Bangalore and Tamil Nadu. This is one rule that is seen on highways often - a rule that needs to be followed meticulously. In many places, traffic police seem to enforce this rule with enthusiasm. Recently, the Kochi City Police came with an idea of "Model Road". They declared the Edappally-Vyttila-Aroor section as a "Model Road" - where all motorists were required to follow all highway rules. The rules imposed were - maximum speed of 70kmph for light vehicles, strict lane discipline and no overtakes through the left.